Jim Barlow has seen a lot in his 23 seasons guiding the Princeton University men’s soccer program. 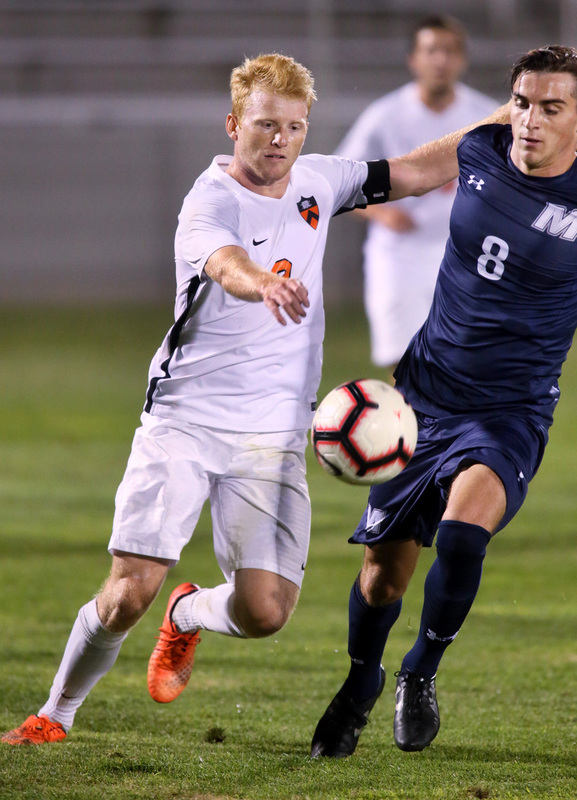 But he never experienced anything quite like Princeton’s heartbreaking 1-0 loss to visiting Monmouth University last Saturday evening. Princeton outshot the Hawks 11-4 in the first half with a 4-0 edge in shots on goal as senior Sean McSherry sprinted to goal on several dangerous runs and sophomore Gaby Paniagua just missed on a couple of scoring opportunities. Despite that dominance, the local rivals were deadlocked in a 0-0 stalemate and Barlow knew that squandering the opportunities could come back to haunt his team. “You are always concerned when you don’t score in our game; it just takes one,” said Barlow. The Tigers kept pressing forward after intermission, outshooting Monmouth 8-1 in the second half but it was the Hawks who found the back of the net, tallying on a header with 6:44 left in regulation. In addition to being snakebitten around the net, Princeton couldn’t get a break from the officials. In controlling the ball, Princeton got some really good play from McSherry, Paniagua, freshman Moulay Hamza Kanzi Beighiti, and junior Bobby Hickson. Despite the bitterly disappointing outcome, Barlow believes his squad still has a chance to enjoy a big season.